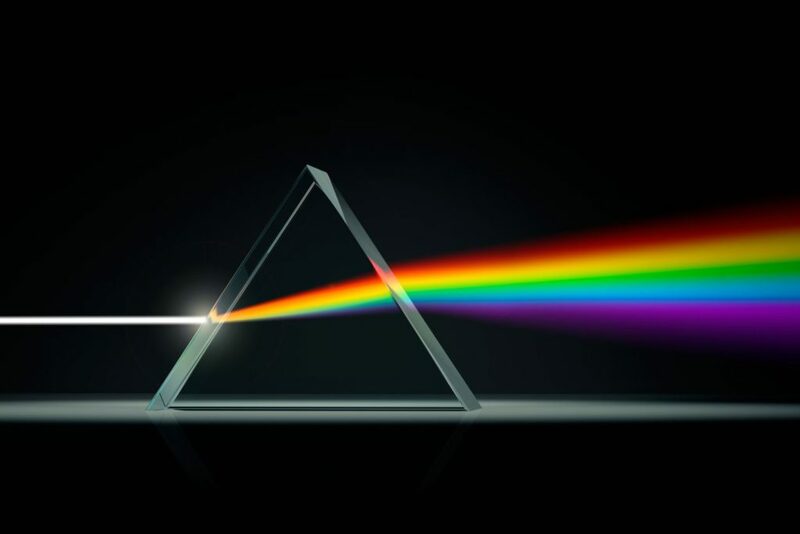 In 1666, Newton bought his first prism with the motivation of disproving Descartes wave theory of light. In 1672, he gave a brief account of his findings, in the form of a letter, to the Royal Society, whereby – after a bit of convincing – it was published in the Philosophical Transactions of the Royal Society. Although not unanimous, Newton’s work met with much praise. However, one critic’s words would resound with Newton, thus beginning a lifetime feud. Robert Hooke (1635–1703), who was considered the expert on the subject in England, sent a lengthy critique. In short, it pretty much said Hooke had performed all the same experiments, drawn different conclusions, and that Newton was outright wrong. In 1704, Newton finally published a full account of his theory of light in Opticks. To be sure, Newton had already drafted a treatise covering much of this work by 1672, but he never published it. Being extremely sensitive to criticism he waited – more than thirty years – until the death of his long-time rival Hooke. Newton’s theory of light intertwined the color of light with the idea that light was comprised of particles, which Newton referred to as “corpuscles”. Whereas, his theory of colors was rooted in experimental results with prisms, light as a particle was merely a conception. Nonetheless, mostly due to his prominence, Newton’s particle theory of light prevailed for more than a century after Opticks.